With his latest film called Glass, filmmaker M. Night Shyamalan, has actually managed to pull the rug out from under us yet again with one of his biggest and most amazing twists to date. I’m not kidding here, folks. This one is a doozy. Following the success of his 2016 thriller Split, the filmmaker – known for his signature twists and unforeseen plot reveals – actually had us, once again, believing in his creative genius that had since become lost in a murky pit of self-inflicted over-indulgence through the years. That film played out in a much bigger and much more surprising manner than its relatively minuscule budget had signaled. And the reprisal of Bruce Willis’s Unbreakable (1999) character in the film’s closing scene had us pumping our fists in excitement at the prospect that … maybe, just maybe … the filmmaker was getting his mojo back. 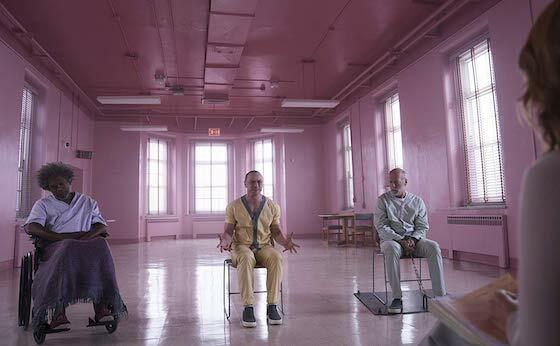 But alas, we have Glass, a film that is such an uncontrolled mess of delusional thoughts and execution misfires your head will spin trying to figure out where it all went wrong. Shyamalan has proven time and time again that he works better within constrained budgets and lowered expectations. It could even be said that he is more effective when the plots of his films are constricted to small spaces. "is such an uncontrolled mess of delusional thoughts and execution misfires your head will spin trying to figure out where it all went wrong"
As proof, take Split which had a much more contained space with the story’s captives being held in just a few rooms. Even in 2010’s Devil, a film which he didn’t direct but co-wrote for his production company The Night Chronicles, Shyamalan’s entire story was confined to a single elevator and turned out to be a maddeningly fun little claustrophobic supernatural horror film. But for now, it’s back to the bigger and considerably more spacious Glass, a film which tries to combine several different genres into a wholly distinctive narrative, yet never manages to reach beyond its stilted dialogue and wasted performances. The film totally fumbles the fanboy excitement it generated when Willis’s David Dunn turned and looked at the camera at the end of Split. As a result, Glass is a sorely disappointing close to a phony mess of a comic book movie trilogy wannabe. For those late to the party, Glass is the concluding chapter in the loosely-knitted trilogy of Shyamalan films that started with Unbreakable in 1999 and was followed up by 2016’s Split which became the bridge to the Glass finale. Glass connects James McAvoy’s multi-personalitied Kevin Wendell Crumb from Split to Willis’s David Dunn, the hero in Unbreakable along with that film’s villain, Elijah Price (Samuel L. Jackson). The main conceit of all three films is that the characters exist in a world where superheroes walk the streets amongst us mostly unobserved. Ever since Dunn became the sole survivor of a train accident some 19 years ago (in Unbreakable) he believes he has crime-fighting vigilante superpowers. He now runs a modest home security store with his son Joseph (Spencer Treat Clark). Dunn is on the lookout for Crumb who has just taken several cheerleaders hostage, but during the following tussle, both are arrested and taken to a psychiatric hospital and put under the care of psychiatrist Ellie Staple (Sarah Paulson) who begins evaluating the two men along with Dunn’s old Nemesis (from Unbreakable), Elijah Glass (Samuel L. Jackson). Along for the ride are actors Anya Taylor-Joy who returns from Split as a former captive of Crumb, while Charlayne Woodard returns as Price’s mother. Both are totally wasted here as mere plot devices rather than real human beings. McAvoy is the true star of the show once again, as he gets to show his range when he slips in and out of various deranged characters with ease. But he doesn’t carry the same fear and menace this time around as his characters are seriously overexposed. The schtick worked much better when he roamed the halls and climbed the ceilings of a dark basement in Split. Needless to say, this isn’t the film that fans were hoping for. Shyamalan is back to his old habits of buying into his own greatness while other put too much faith in his storytelling skills. His films often become overloaded with too many threads, tedious plot points, and uninteresting characters. And that is exactly what happens here. Yes, there are numerous iconic scenes throughout, and some wonderful set pieces and action sequences certainly get our attention from time to time. But it is far too tedious to hold our interest for its entire two hour plus runtime. Shyamalan has shown time and time again that he is a much better filmmaker when forced to work with a shorter leash. There's an old saying with movie lovers – I know it's in Hollywood, probably with movie lovers – that says, fool me once, shame on – shame on you. Fool me – you can't get fooled by Shyamalan again. Memorable Movie Quote: "First name: Mister. Last name: Glass. 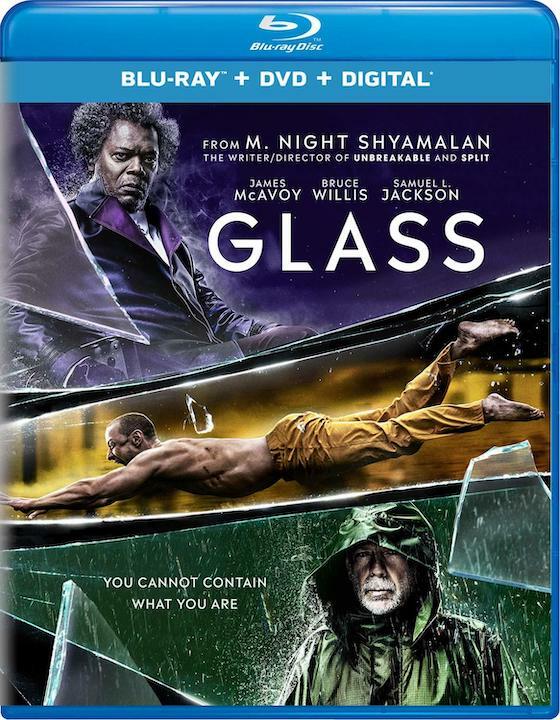 Universal presents Glass in a beautifully packaged 1080p 2.39:1 presentation that includes a blu-ray disc, a DVD copy, and a digital Movies Anywhere HD download. Universal has clearly gone all out with its handling of the film in terms of both quality and quantity of bonus materials. In fact, color us surprised that the studio put so much effort into a film that so miserably failed to meet expectations. But if you are a fan of the film and still onboard the M. Night Shyamalan train, then this one will most assuredly be a true delight. Visually, the handling is spectacular with very few errors, if any. Dark scenes remain crisp and clear (and never too dark) with no blossoming or banding while exterior shots and sterile insane asylum scenes are clear, crisp, and come to life with snaps of perfectly calibrated color. To the ears, the Dolby Atmos track is a perfectly attenuated delight with most dialogue front and center and perfectly clear and detectable, except in the scenes which take place inside the hospital where voices echo, bounce and otherwise enhance the creep factor of the visuals. The upper heights of the atmospheric dome are activated mostly from the soaring score, but peripheral sounds and noises that echo about the stone walls during the dungeon and hospital scenes are an auditory delight. 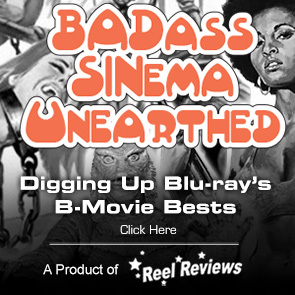 The wealth of bonus material alone makes this release one worth owning with deleted scenes, an alternate opening, characters studies, a storyboard feature, a stunt feature, and much more. This will most certainly please fans of the trilogy. Alternate Opening (02:57) - Director M. Night Shyamalan provides an introduction for an opening sequence that wasn't used. However, many scenes of that footage appear later in the film. Connecting the Glass Universe (02:54) - How all three films in the trilogy are tied together and the different visuals used within each. M. Night Shyamalan: Behind the Lens (02:46) - Interviews with Cast and crew about MNS's filming techniques and what it is like working with the director. The Sound of Glass (01:50) - A discussion of developing the score for the film. Enhancing the Spectacle (02:53) - A look at the film's visual effects. Raven Hill Memorial (02:16) - MNS and cast discuss filming at the abandoned mental hospital used for the film. Night Vision (01:50) - A short on the storyboarding process that M. Night Shyamalan uses for all of his films.